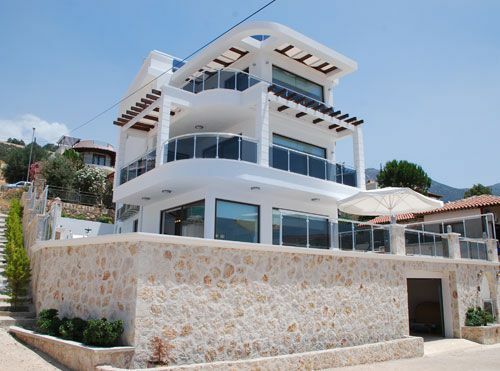 Contemporary design duplex villa with mezzanine floor; 280 m2 net interior space, 710 m2 plot, stunning sea views. Private and unique location. REDUCED UNTIL END OF NOVEMBER ! ONLY ONE LEFT! Excellent opportunity! Exclusive project, 15 apartments in 3 blocks all with PRIVATE POOLS and 3 bedrooms, central location, amenities near by, 10 - 15 minutes' walking distance to centre of Kalkan. COMPLETED MAY 2014. Exclusive Villa with 5 en-suite bedrooms in Kisla area of Kalkan. 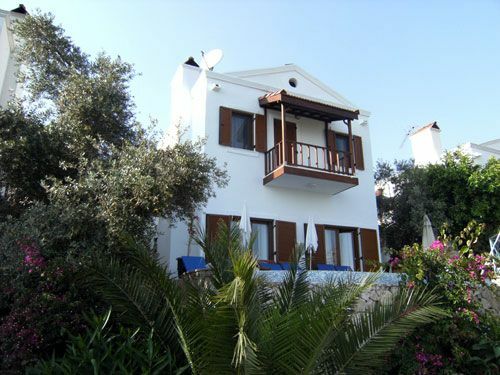 The villa is brand new and offers uninterrupted views over Kalkan bay. Within 50 meters of the sea, this is a Luxurious Villa with Infinity Swimming Pool, 5 Spacious Bedrooms and 5 Bathrooms, uninterrupted sea views and prime location. 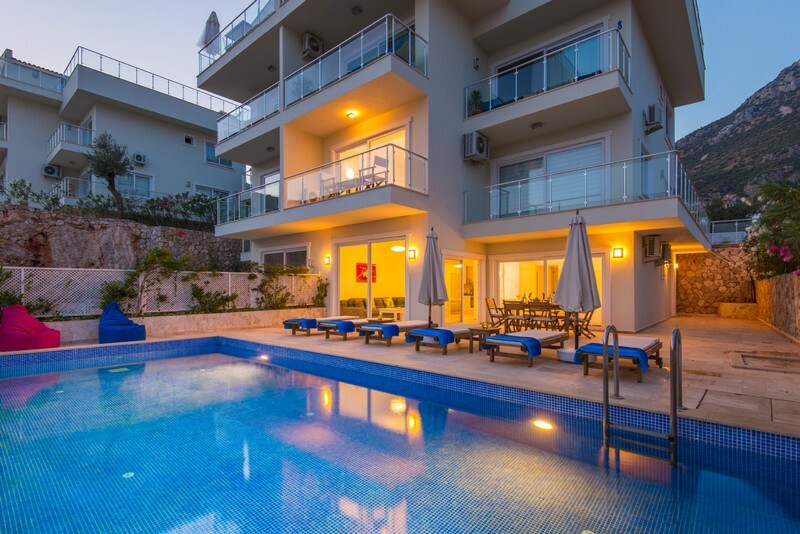 Duplex apartments with striking sea views of Kalkan Bay. Ground floor duplex apartmetns have their private pools. The complex is maintained to high standards and all apartments have excellent rental incomes. Only 2 left. 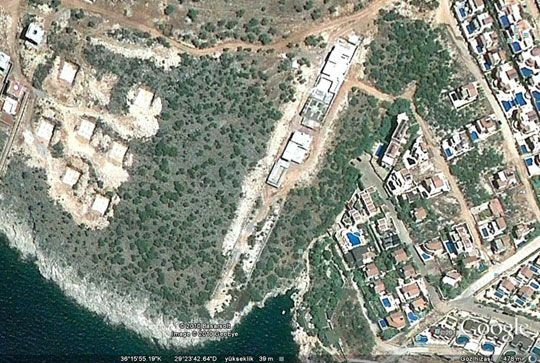 Sea front plot 5000 m2 sized, 250 m2 building permission with private access to sea. Outstanding 4 Bedroom villa in the heart of the town with uninterrupted sea views, located in the most sought after location in Kalkan Likya Estates. It is only few minutes walking distance to town centre without any hills and is a tranquil location. This beautiful luxury villa is situated in a wonderfully private position guaranteeing superior uninterrupted views of Kalamar Bay. Finished in marble, natural stone and ceramic with excellent craftsmanship it is fully furnished and ready for occupation. Contemporary Villa with Good Kalkan Bay views. This 5 bedroom villa is built on a 650 sqm plot of land. It is a very unique project with an extravagant and contemporary style, the design is faultless that every room has a stunning sea views and very high standards throughout.